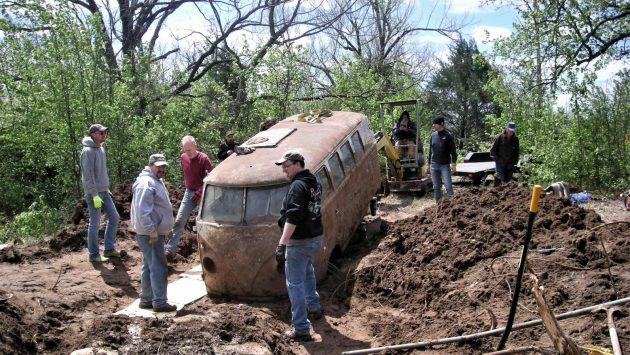 Former Storm Shelter: 1960 VW Bus Unearthed! Over the years, we have seen numerous rescues of air-cooled VW Buses in all trims: camper vans, panel vans, pickup trucks and everything in between. Increasingly, the rescues are growing more dramatic, from requiring helicopter assists to being raised from river beds. This 1960 model was straightforward by comparison but no less fascinating; it was used as a storm shelter for protection from tornados when the owner tired of driving it. Find this incredible story and rescue here on TheSamba. 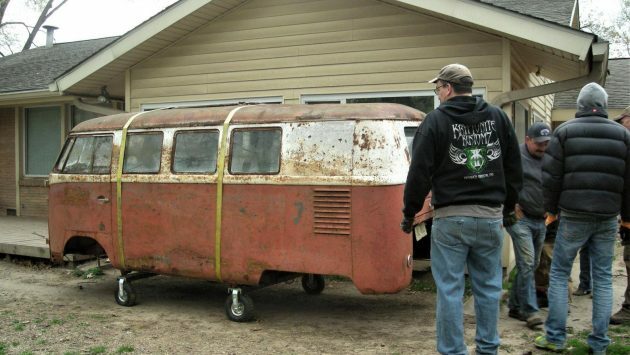 This is how the Bus first appeared to an aircooled enthusiast many years ago while hunting in Oklahoma’s untamed country. Upon approaching the property owner, he was told the Bus was not for sale despite being buried up to its roofline; after all, he still needed it in case a tornado came roaring through? 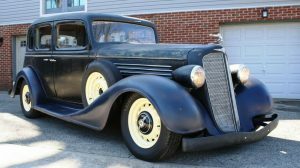 Fast forward a few years until after the owner had passed away, and another enthusiast who was casually scouting for a new project was given the tip from the rifleman. A few more phone calls were made until the interested party contacted the deceased’s brother, who agreed to a deal for the Bus. That was the easy part; now came the time to unearth the VW and see what sort of shape it was in below the beltline. The finder noted that it was buried in the “red dirt” of this particular area of OK, which apparently played a role in preserving the sides and lower sills. While I’m not an expert on the rarest types of Buses beyond the epic 23-windows, this example’s early model features, like the split windshield and bullet-style turn signals, are thankfully preserved. The new owner of the Bus was able to corral several other air-cooled enthusiasts and members of The Samba message board to come and help with the extraction. 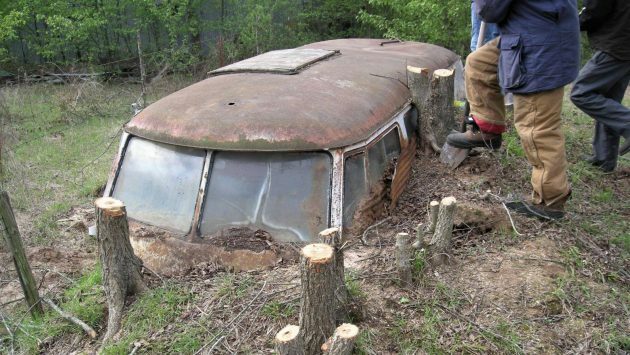 From cutting down trees to digging out around the VW, many hands made light work despite being buried up to its windows since 1983. The Bus did have its torsion housing removed along with about “two feet” of frame, apparently to make it easier to bury in the soil of Oklahoma deep enough to be transformed into a suitable storm shelter. A quick stop at the local car wash revealed a pleasing cream-over-red color combo and no major damage or corrosion. There’s sure to be some rot to repair along with sourcing a drivetrain, but this is a Bus absolutely worthy of rescuing. Kudos to the new owner who apparently had to master the art of persistence in order to have the opportunity to purchase makeshift shelter. Now that’s been reclaimed, I wonder how many times it kept the family huddled safe while a twister raged outside? Interesting story, it would be neat to hear the follow up in a years time. 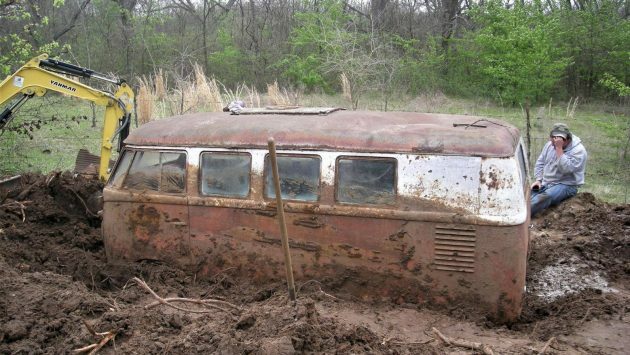 I am quite amazed at how well this bus survived after being buried for so long. In fact the metal below the dirt line looks better than the above dirt line. Amazing that vandals haven’t blown the windows out. It’s crazy how the collector value has skyrocketed on these early busses. Good luck to this fellow. Great story is right. ‘The finder noted that it was buried in the “red dirt” of this particular area of Wisconsin’. Confusing? I did enjoy the photo of the Mole! No kidding! Said Oklahoma and wisconsin it was buried in? At least it wasn’t used for a septic tank. Lots of car and van bodies were used in rural areas for septic ‘systems’ which was a lot better than the out house. 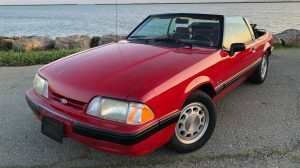 Sedans were better than coupes, but more than one convertible was used successfully. My favorite is the one where the hillbillies used a 1969 Daytona for a burn barrel. And THEN, some dishonest guy buys it and hauls it off! I guess the VIN was still salvageable, so another rich dude gets swindled. Of course, it is not about facts anymore, it is about potential money to be made and bragging rights. I wonder if the leaded paint has something to do with the body not rusting. The soil looks like it held a good bit of water, without exposure to oxygen rust won’t form. Also a plus here would be that the soil was close to a neutral pH, if it where too far toward being an acid or base then corrosion would have occurred. Just like pilings in water, they always rot above the water. Below they will last for centuries. One of the oldest bridges in the Interstate system crossing the Columbia River sets on over 100 year old wooden pilings. Was putting in a wood seawall along a river using a jet pump to sink the 2X12’s at a place that had a sawmill sitting there about 1900. We where getting scap pieces of Cedar tongue and groove paneling constantly floating up during that job that looked like the day they where milled. When burying a car do it in Oklahoma with red dirt from Wisconsin. Sorry; can we agree on just calling it flyover country? where abouts to publish a treasure map! Oh so many buried stories…. If I’m seeing it correctly, the small hatch was a ventilation feature in some older campers. Here in Southern CA VW Busses were hugely popular and I saw many examples of this, mostly in pre ’62 models. This bus appears to be a ’61, based on the tail lights. Before they started putting a propane stove in to the interiors,the Coleman Stove went on the fold out table on the door which when closed was right under that hatch. Yikes! Rescue this mess? Well all the power and well wishes to ya. stop at nothing to save one of these…LOL. one heck of a story at future car shows..!! seems like the abundance of windows make this a poor choice for storm protection? i guess you can at least see the action as it passes and hopefully not into the glass. Strange story. I am amazed that the comments are not filled with WTF’s. We are a decent bunch. Adam, maybe your not seeing “WTF” as you put it, because most people have a better way of expression. I can visualize this coming off the production line, all new and sparkling! Tis pity it wound up like this! I love stories like this , had a 66 bus with a sunroof and all the windows around the roof , a gas heater . Dad got it from one of his customers with the motor in baskets inside . spent all summer in the evening drinking beer and rebuilding the motor with the help of JCWhitney for parts . We drove that thing for several years until a drunk rear ended it and split the motor in half , end of that story !! You never hear of a drunk plowing into a Dodge Neon or Toyota Prius. Drunks really hate nice things it seems. 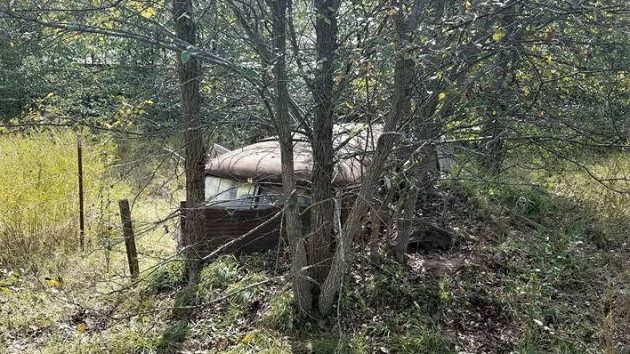 Up in my area many old cars from the 1930’s – 50’s were buried by the farmers, a hole was then cut into the roof large old culvert type pipe inserted in the hole and car covered up again then a outhouse placed on top. So you never know what you will get when digging up these old cars. I’d like to see it when the new owner is finished with it. Not to sound like a grumpy old man, (and bear in mind I love old cars), but I can’t understand the inflated prices of these VW vans. Sure, I can see the charm in a quirky old German van in cool 60s colors, but the prices of rustbuckets are really high these days. 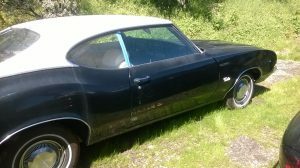 I just bought a 66 Volvo 122, a running/driving car, for $1500. How Swede it is! But Russ, these ‘kids’ often have grey goatees now and should know better. This car was factory built with a 36hp stale air engine and a transmission that could not be shifted into low if the wheels moved. Even if restored, it would never mix with modern traffic situations. Reliable? Very much so if regularly maintained. Fantastic museum piece example of how cars used to be built. Top speed-55. No load, driver only. Drove one in H.S. for a laundry in Chicago. Froze in the winter, windows always fogged over, and it never could get out of it’s own way. When the laundry bought a new Econoline I felt as though I was driving a Rolls. And it had a great hot water heater. No matter what it my be worth its still just a v-dub. Nothing to see here. You definitely have to have some V dub blood running through your veins to take on such a project ! Best of luck with your new project. Keep us posted, please ! That was just WRONG burying that bus. Good thing theres folks willing to go the extra million miles to save them. Sure wish I still had my ’67 21 window….with Westphalia interior no less ( thanks to a donor camper). I hope its still running around in northern San Diego County somewhere! If someone did the same thing today with a Saturn Ion nobody would be complaining about ruining a future high-dollar classic although you can be sure they’d find plenty of other things to get neurotic about. Another subterranean VW bus? When excavating for our pool in Pennsylvania, we were worried about hitting rock, not Fahrvergnügen. Work came to a screeching halt when the backhoe punched through the roof of one of these guys, an early 60’s job that had been napping underground for a few decades. The bad news – it was too far gone to salvage. The good news – nobody was inside the thing. 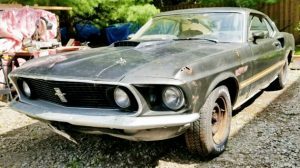 I’m pretty stunned at the relatively rust free condition of the body. Pretty sure less rust than if it hadn’t been buried! Knowing some of the men that were on this recovery and the day that was had by them all ! I say it was amazing to see the photos in Australia as it was happening , and Blown away after the pressure Wash . Goodonya Knights , Eric , David to mention a few .